It’s completely normal to feel sad or down from time to time. Whether it’s because of a life tragedy, a series of minor inconveniences that continue to pile up to form one massive inconvenience or just the seasons changing, depression affects lots of people. Often times people will experience depression in different ways. Living in a big city, it can be easy to feel alone even when surrounded by millions. However, you don’t have to feel alone while dealing with depression. 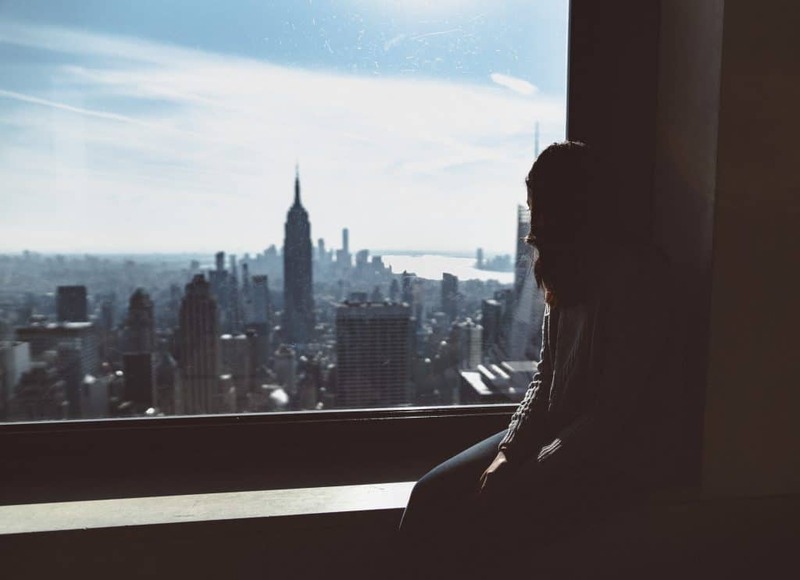 Here are a few ways to manage your depression symptoms while living in New York. Having a close and strong network of individuals can dramatically improve your mood and lift your emotions when you are feeling depressed. Whether you join an exercise group, a reading group, or an art class, having an outlet and a support group helps to relieve depression symptoms. It’s also a great way to make new friends and have a reason to leave the house. While this may be harder to do as the weather turns cold, getting outside is so important to your physical and mental health. Getting fresh air and natural light can help to boost your mood and keep your spirits high. Sometimes in the concrete jungle, a little bit of nature can go along way. Don’t let the changing weather stop you from exploring parks, trails, and nature reserves. Maybe you meet a friend for coffee every Sunday or have dinner with friends or family on Wednesdays. A lot of people joke about “Taco Tuesdays” as a tradition but maintaining a schedule can help keep you going even when you feel like you can’t. As hard as it may be to reach out to friends or families sometimes, keeping those weekly traditions will go along way for your mental health. Using drugs or alcohol in the hope of feeling better will only prove to make you feel worse. The shame spiral that comes after a binge is not worth the temporary and fleeting feeling you might get from using these substances. Drugs and alcohol can be isolating and the last thing you need to be doing is keeping yourself away from friends and family. Of course, taking time to yourself is always encouraged, however, too much time in social isolation will only worsen your symptoms. Depression prevents you from feeling any sort of satisfaction from the activities and people you once loved. Don’t let depression keep you from enjoying life, call us today to make an appointment and meet with one of our highly trained specialists. Take back your life today.